As a community here in Tameside we need to have a discussion about policing and police cuts, now more than ever. The recent spate of burglaries in homes in Dukinfield, as well as a rise in anti-social behaviour and motorbike thefts in Denton this year has blighted the lives of many residents. I’ve been in regular contact with the local residents affected and I’m incredibly concerned that this recent spike in crime is causing real anxiety in our community. I’ve also been in touch with local councillors and the police and understand that they are working together to organise a multi-agency meeting to discuss this matter, which is due to take place over the coming days. Separately I’ve been in touch with the police urging them to provide additional resources to the area to combat this worrying trend. More broadly, it will not come as a surprise to many to find out that crime is rising in Tameside, Greater Manchester, and across the region more widely as criminals take advantage of brutal cuts forced on to our police force. Since 2010, £180million has been axed from Greater Manchester Police’s budget, this has led to a sharp drop in the number of frontline police officers on our streets. Facts are facts however – in 2010 we had over 8,000 Police officers on the streets of Greater Manchester, by the start of 2017 that figure had plunged to 6,297; that’s almost 2,000 fewer police officers patrolling our streets. So when Theresa May argues that there is no link between police budget cuts and crime rising, she should think again. On top of this, GMP has been forced to scale back counter services at local police stations across my constituency, following the closure of counter services at Denton and Dukinfield Police stations – it’s just not good enough. Community policing is crucial with communities needing to see and be able to speak with their local police, whether that’s on the streets or in neighbourhoods. Many of these facts played on my mind when a few weeks ago I visited the memorial of PC Nicola Hughes and PC Fiona Bone to remember their sacrifice, and to, mark National Police Memorial Day. The day remembers all the brave Police officers who went to work but sadly never returned. It was especially poignant for me as both PC Hughes and Bone were Tameside Police officers, lost in the line of duty whilst defending their community. 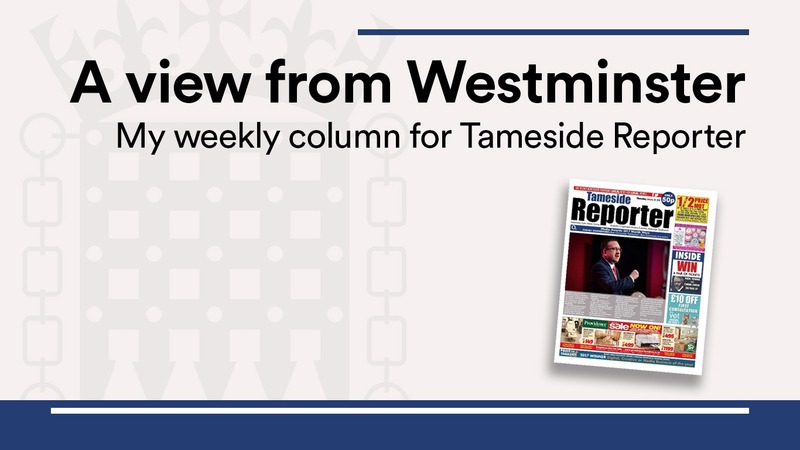 Rather than properly fund the police, Ministers have chosen to turn a blind eye to the real concerns of communities in Tameside, and across the region. That’s why we need to provide the support our police need – not with more pleasantries and kind works, but with the tools and funding they need so they can continue doing the job of protecting us, our families and our properties.